Look for Progress, NOT Perfection!!! When it comes to a healthy lifestyle, the question I get all the time is: Do I have to be perfect or stride for perfection for it to work? Well, I will be the first to say that you should NEVER strive for perfection. If you do, then I promise that you will become stressed out in life. Many people, no matter what they do, think that they need to be perfect. This is the furthest thing from the truth. The goal is to do the best that you can, work hard and be consistent while making PROGRESS. That is the way to success and happiness in life. Many people fear that something they try won’t be perfect, so they won’t even attempt to do what they wanted to in the first place. Nothing gets done or accomplished when you’re striving for perfection. It is hard for our minds to take calculated risks if you are trying to be perfect. Your mind will tell you not to attempt what it is that you want to do, because there is no way that you can be perfect and achieve it. So then, you won’t even try. What you want to do is: Set your goals, and then put them into a plan of action. Lay out a ‘step by step’ approach on what it is that you need to do, in order to achieve your goals and progress in life. Have plans from A-Z, because if there is something that I have learned in life, it’s that nothing ever goes to according to plan. There will be lots of failures and mistakes, but that is how we learn. Think of your failures and your mistakes as learning opportunities. If you are attempting to eat healthy, and something doesn’t go according to plan, don’t dwell on it. Instead, accept and acknowledge it, then put it behind you and keep moving forward. The key to happiness is not “perfection”, but it is “progress.” If you’re moving forward and learning, then your life will seem better and better every day. Do not beat yourself up when you do something that isn’t according to plan or doesn’t go your way. I love the concept of a life pendulum; it follows the philosophy that to create major success and happiness in life, you must have massive failures. If you fail, but you keep being consistent and working smart, the pendulum will swing the other way. If you do not attempt anything, and stay in your comfort zone, then you may never fail, but you will never succeed to your full potential. I am a big believer in the compound effect. The concept of this is that the small actions that you consistently do every single day, are what make your life what it is. It’s not about making things perfect, but striving for EXCELLENCE, and doing the best that you can! Day after day, week after week, month after month and year after year. So please remember it’s about making progress, and doing small positive daily actions that make YOU successful. Always look to improve, and always look to setting your goals high. Perfection is nothing but a fantasy world, that doesn’t even exist. Perfection puts nothing but pressure on the individual. Stay relaxed, go out and do the best that you can in whatever you do. 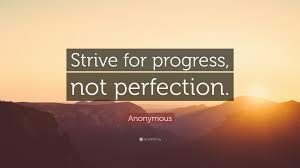 Everyone’s goal should be progress and not perfection! Thanks for stopping by please let me know if there is anything that I can do to help. 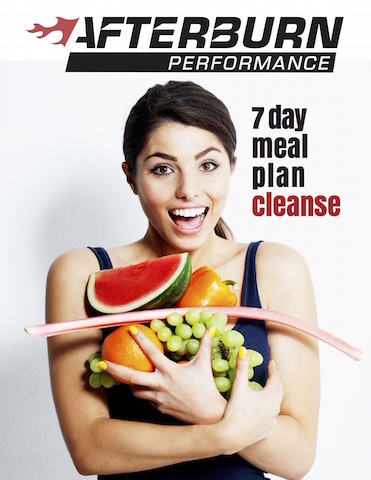 The Magic Diet – The One That Work’s For YOU!! How Often and How Long Should You Workout?